Set comprises a stainless steel 300ml cocktail shaker, two mini martini glasses, two olive picks, a stainless steel cocktail strainer and a recipe booklet. 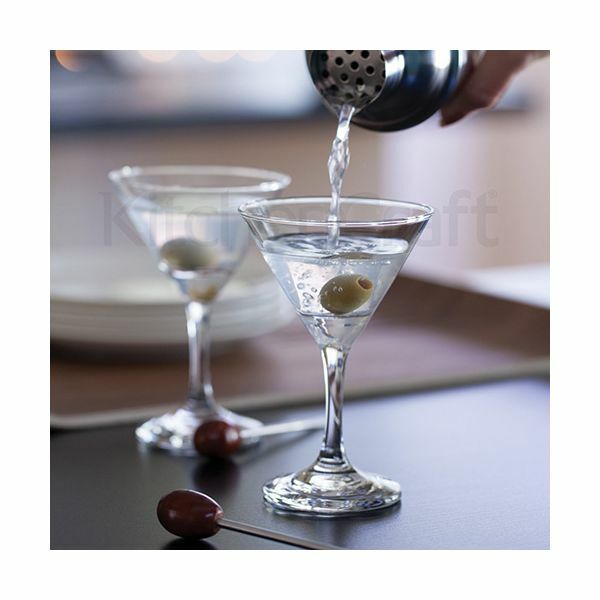 Shake, serve and sip martini in true style and elegance, this mini martini cocktail set is perfect for creating a luxurious cocktail from within the comfort of your own home. 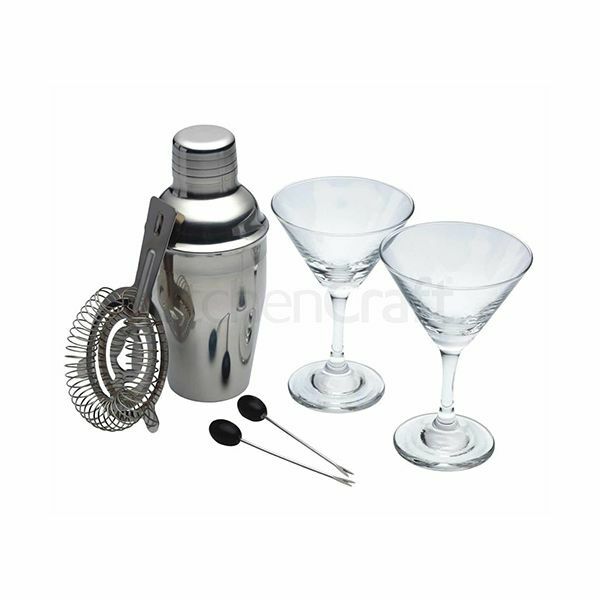 Complete with a recipe booklet and two mini martini glasses, this set includes everything you need for a perfect martini.